Aloha & Welcome to My Website! Searching or Selling a Home? Aloha & Thank you for visiting my website! I grew up in Honolulu HI, relocated to San Jose, CA in the Bay Area and now reside in Roseville, CA. I hold a degree in Business Management from the University of Hawaii System. I have over 20 years of experience in Customer Service, Corporate Finance, and Administration Management. I have been a licensed Real Estate Agent since 2014. Though fairly new in this career, I am not new to the Real Estate Industry. I bring to you years of homeownership knowledge, my first hand experiences in buying & selling properties, and my passion in helping people. 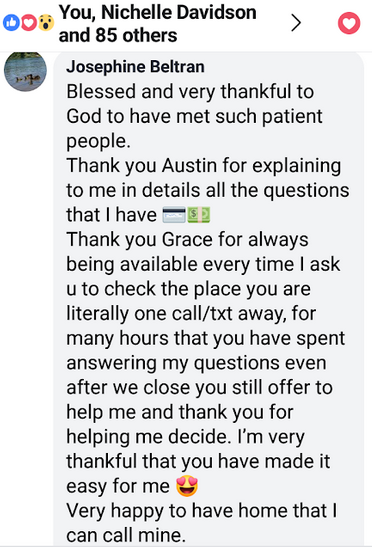 Why Use Grace As Your Realtor? BUYING OR SELLING real estate is one of the biggest and most important financial decisions that you have to make in your life time, especially if that real estate is to be a "Home" for you and your family. WHETHER you are buying or selling, Grace can supply you with the information needed for you to make an informed decision. 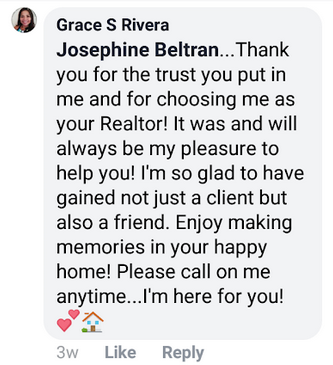 As a REALTOR® Grace has access to the vast real estate market of your area through utilizing the latest marketing techniques, Multiple Listings Service, and other research and advertising tools of the trade available to them. Exclusive Free Report: Download Your Personalized Comparative Marketing Analysis (CMA) on your home. See what your home is worth today it may be the right time to sell. As your Realtor, my goal is to provide you with only the best customer service that you deserve. Whether you're buying a home or getting ready to sell your home, I will be there to service your real estate needs from start to finish. Register for email updates and then use my fast and easy Home Search, when you get the results you like, click the "Save Search" link at the top of the search results page. Tell me what you're looking for and I will promptly send you an email update anytime a new home matching your criteria is listed. Real Estate is my passion! Realtors® are real estate professionals that pledge to hold themselves and their fellow Realtors® to higher standards of ethics and professionalism than are required by the State of California. They belong to the Local, State and National Association of Realtors®. Real Estate transactions today are many times the largest financial investments in a person's lifetime. Why wouldn't you use a professional to help protect that investment? Only Real Estate Licensees that are members of the National Association of REALTORS® may call themselves REALTOR®. They are bound by the Code of Ethics to treat all parties fairly and honestly, and to strive to preserve a higher degree of knowledge of the buying and selling process. With over six million new and existing homes sold each year in the United States, the options can be staggering! As your HomeSmart Agent, Grace will help you narrow down the choices and find the property that best suits your needs. It may be the very first home you look at, or the very last one, but in either case Grace will help you find the place you can call "Home"! Remember... It's a Smart Move with HomeSmart!